Great Britain, despite its relative secularity today, has historically been the Petri dish in which many religions have been cultured. A large part of this phenomenon derives, I suspect, from the relative indecision during a crucial period of what the official religion should be. It is quite possible for a state to dictate a religion, and historically religions have often served the purposes of the state. Governments support the religion that serves them best. Beginning with Henry VIII, however, Britain had a difficult time making up its royal mind. The Church (in Rome) had decreed divorce immoral, and the interests of patriarchy run deep in some men’s souls. In the flip-flopping between Protestant and Catholic that took place, many new groups emerged from the froth. The True Levellers, popularly known as “Diggers,” were one such group. Taking the book of Acts literally, they believed true Christians should have everything in common. They formed farming communities (digging the soil) to support themselves as dissenters. As with most utopian communities, however, this kind of radical sharing just didn’t last. After only two years the Diggers had disbanded. Around the same time another sect known as the Ranters abounded. The Ranters, early rivals to the Quakers, held ideas well beyond the simple communism of the Diggers. Pantheists in an age of omnipotence, they didn’t really stand a chance of survival. They didn’t trust the authority of the church, and being Christians, as well as pantheists, they urged their English compatriots to listen to the Jesus inside instead of the one proclaimed in a limited way by the church and the Bible. Their antinomianism led to the perception that they were a threat to the social order. Interestingly, there seems to be evidence that the movement was somewhat widespread in the seventeenth century. Eventually they disappeared, absorbed into the Quaker movement or simply losing their cohesiveness by dint of their native antipathy to order. One of those influenced by the teaching of the Ranters was Lodowicke Muggleton. Technically a tailor, Muggleton is remembered as a religious thinker (a rarity in itself) largely because of his writings and Muggletonianism, which he founded (and which lasted until 1979). Apart from the Ranters, he also rejected the Quakers. Muggleton believed only in that which could be physically embodied, denying many aspects of an early modern world still alive with miracles and superstition. Even angels were beings of pure reason. Tracing the origins of fictional concepts may be a fool’s errand—and if so I am well qualified—but I wonder if J. K. Rowling’s “Muggles” derive from the name of this former Ranter who came to see life as having no magic. Muggleton’s world had no place for witches, magic, or divine intervention, yet it was profoundly religious. Once religion enters the public domain, it is sculpted to the satisfaction of individuals in search of their own meaning. Some of those searchers will be Muggles and others will be Ranters and a few may remain Diggers. Without any of them, the fabric begins to unravel. As much a part of the holiday season as Santa Claus and baby Jesus, the Salvation Army bell-ringers are out in full force. As I drop a quarter in the bucket, I ponder the strange lineage of this denomination. When the cheerful holiday shopper convivially donates spare change, few, I suspect, know that they are supporting a church. 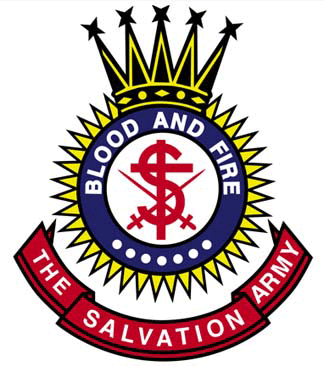 The Salvation Army is one of the bewildering number of denominations to spring from English Christianity. The Church of England, small in the United States, but imperial in much of the world, grew amid a religious unrest that spun off countless dissenters. We all know the story of Henry VIII and his not-so-merry wives. His political move to focus the official religion of England on the crown led to the Puritan resistance. Puritans left England for the Netherlands, and then on to America where they flocked to New England to develop into Calvinistic Congregationalists. Meanwhile back in Amsterdam, some of the English Separatists evolved into Baptists. Baptists were also congregational in polity and also found the religious freedom of America to be appealing. (Now they select our elected officials.) The Puritans had helped develop the Presbyterian movement as well, with dissenters in Switzerland. Still at home in Britain, the Church of England waffled between Catholicism and Protestantism for some time. 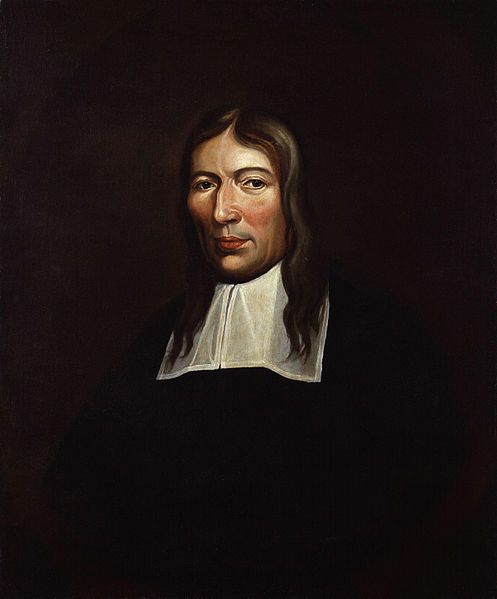 The evangelical fervor that emerged with the Wesley family led to the Methodist Church, which remained attached to the Church of England until its founder’s death. In America the Methodist Church grew rapidly. During the era of religious revivals the Adventist movement grew out of Methodism, as did the Church of the Nazarene, the Holiness movement, and Pentecostalism. All of them today are major denominations. Even the Anabaptists tip their wide-brimmed hats in the direction of the English dissenters. The Plymouth Brethren, inventors of the Rapture, were another English-derived denomination, as were the Wesleyan Churches. What does all of this have to do with the Salvation Army? The Salvation Army was founded in London by a Methodist minister, William Booth, and his wife Catherine. The movement adopted quasi-military mythology and ranks, and soon grew into a church of its own that supported what would later become the Social Gospel cause. Known primarily for their charitable works, they are yet one more splinter from the tree of English Christianity. Perhaps the Christmas tree is an appropriate analogy for the Christianities to spring from Henry VIII’s loins. Like the pine’s many branches, each with its ornaments, Christianity in England sent its twigs in all directions. Counted together, the descendants of English Christianity far outnumber any other Protestant grouping. Just a thought to share while waiting for the quarter to drop.